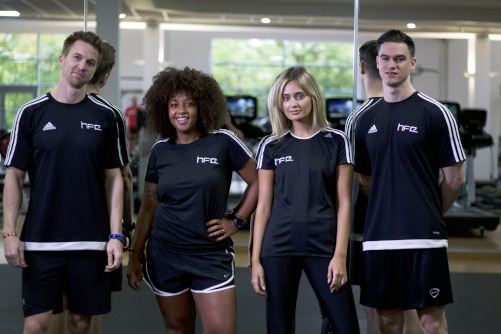 If you’re serious about a career in the fitness industry, and you consistently strive to be the best, our Level 3 Personal Trainer Certificate is essential. At HFE, we pride ourselves on delivering value and quality, which is why this is the only qualification of its type to include kettlebell training, suspension training and foam rolling at no extra cost. On top of that you’ll receive in-depth explanations and tutorials on all the core concepts and approaches you’ll need to master the course. Key elements such anatomy and physiology, effective methods of communication and motivation, and the all-important health and safety matters are also covered. The course itself is taught in an intuitive and approachable way, with a mix of home-study elements and face-to-face workshops. This gives you the time and flexibility you need to study around existing work and other commitments. If you’d like to know about this one of a kind qualification, take a look at a sample of our new training manual below. Inside you’ll find a range of topics including fitness assessments, instructions on how to design exercise programmes and information on kettlebell training – all presented in a highly visual and engaging way. It’s just a small taste; however we feel it showcases exactly what sets us apart from the rest.